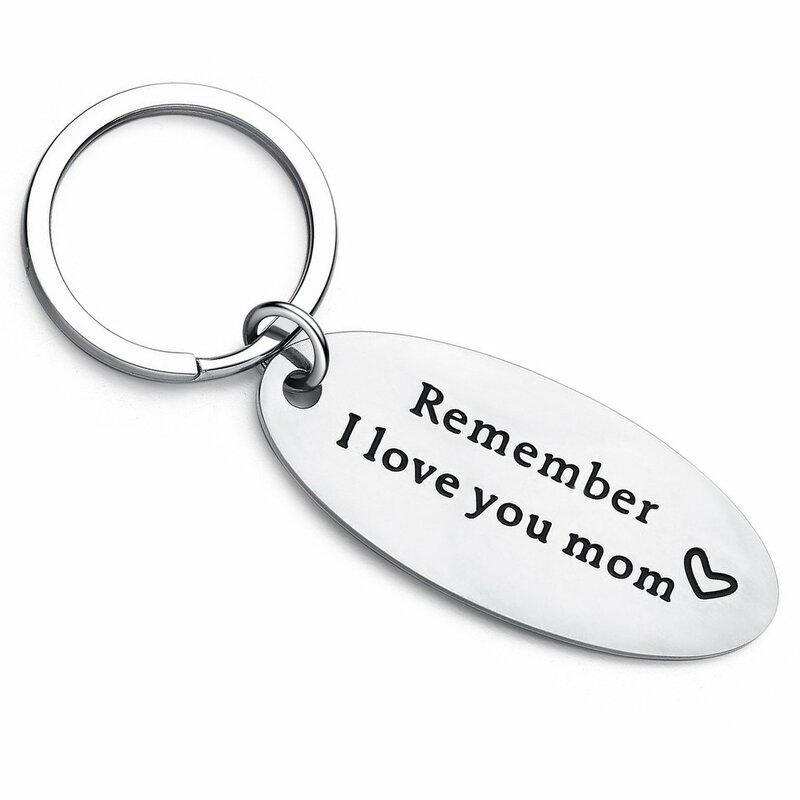 MEANINGFUL KEYCHAIN- This keychain is engraved with lovely inscription "Remember I Love You Mom". It is a wonderful and heartfelt expression showing to your mom that you love your mom and also an excellent way to remind yourself that how important she is. OCCASION: It is a great gifts for family member,daughter,mother or someone special. It is suitable for different ages. The keychain is packaged in a exquisite drawstring velet bag that is ready to gift. IDEAL GIFT: It is special as a gift in any occasion, Mother's Day, Thanksgiving Day, Birthday, Womens Day, Easter, Christmas, etc. SATISFACTION GUARANTEE: A free replacement or refund provided if you are not satisfied with our keychain. Feel free to contact us if you have any questions,we will reply as soon as possible. Now buy with confidence.